Victory at last: The Supreme Court’s ruling means vindication for Cait Reilly, who has spent nearly two years battling against a system that costs the taxpayer millions while failing to increase employment. It’s a return to the drawing-board for the man we call ‘Returned To Unit’ after the Supreme Court ruled against Iain Duncan Smith’s Workfare appeal. The five Supreme Court justices upheld a Court of Appeal decision, made against the government in February. 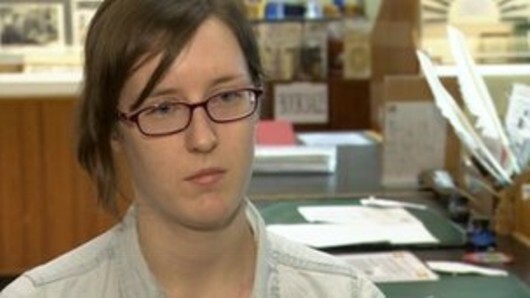 The case had been brought by Cait Reilly, a geology graduate who, while unemployed but volunteering at a local museum in order to gain experience towards getting a curator’s job, had been ordered by the Department for Work and Pensions to work for her benefits, stacking shelves at Poundland. It should be remembered that Poundland is perfectly capable of employing its own workers on full wages. At the time, it ran 390 stores nationwide and made £21,500,000 profit in 2010 – enough to employ extra staff at all its branches and still make a good profit. The amount it was saving by not paying Ms Reilly, coupled with the fiscal multiplier that adds around 60p to every pound she would have earned if she had been an employee, means Poundland could have made a £1,188.48 profit from the work she was doing for the firm at the taxpayers’ expense. Total profit for all companies using benefit recipients on ‘Mandatory Work Activity’ between June 2011 and July 2012 (878,000 people): £894, 416, 090 – nearly £1 billion. Loss to the taxpayer: £16,933,000 (not including payments to Work Provider companies). Together with another claimant, Jamieson Wilson, Ms Reilly brought a judicial review against the scheme, claiming it was a violation of human rights under article 4 (2) of the European Convention on Human Rights: “No one shall be required to perform forced or compulsory labour” – and the government lost the case. At the time (August 2012), the right-wing media slanted their reports to make it seem that Ms Reilly and Mr Wilson had lost, but this was soon rectified because the government appealed against the ruling, which stated that, if Ms Reilly had been properly informed of the regulations, she would not have been led to believe she was being put into forced labour. The problem for Mr… Smith was that Ms Reilly and Mr Wilson were not the only ones to have been misled in this way, and the ruling opened up the government to claims for compensation, from thousands of benefit claimants, for millions of pounds that had been taken away from them because they had refused to take part in the ‘work-for-benefits’ schemes. The illegality of the regulations meant the DWP, under Iain Duncan Smith’s supervision, had broken the law more than 228,000 times – RTU is a criminal more than a quarter of a million times over. In any case, evidence quickly piled up, proving that Workfare doesn’t work. During its first 14 months, only 3.53 per cent of jobseekers who took part in the government’s mandatory work activity programme – of which Workfare is a part – actually found a job for six months or more. They would have had a better chance of finding a job if the work programme had not existed. This did not prevent the Department for Work and Pensions from appealing against the ruling and, in February, the Court of Appeal responded – by upholding the claim that the scheme was unlawful. This meant that anyone who was penalised for refusing to take part, or for leaving the scheme once they had started it and realised what it was, could claim back the Jobseekers’ Allowance that had been withdrawn from them for non-compliance. The payout could have been as high as £130 million. Smith wasn’t going to have any of that! 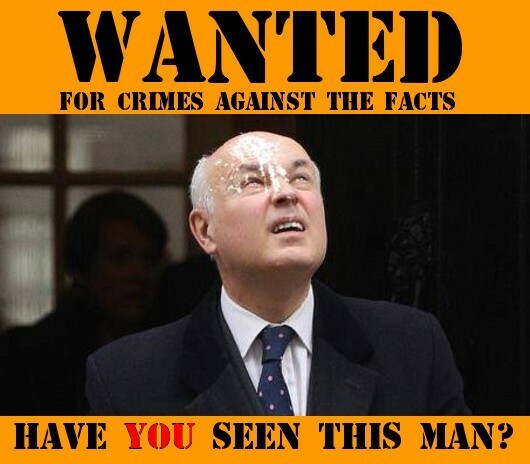 He launched emergency legislation to reverse the outcome of the decision and change the regulations retrospectively, making it impossible for benefit claimants to demand payouts of between £530 and £570 each for decisions made while the illegal rules were in force. Lawyers and campaigners branded the DWP’s move as “repugnant” and “unbelievably disgusting”, saying it undermined the rule of law. This blog concurs with that assessment. It is an appalling abuse of governmental power. But the government succeeded in undermining the rule of law after all but a few members of the Labour Party allowed it to pass, having negotiated a few “safeguards” that have proved to be useless in practice. Fortunately, some people have a little more backbone and Ms Reilly and Mr Wilson took their case to the Supreme Court. It is from this body that today’s – final – judgement has come. After the introduction of the emergency law, the solicitors Public Interest Lawyers (PIL), who represent Reilly and Wilson, lodged a judicial review accusing RTU of conspiring to undermine basic human rights by enacting the retroactive legislation. They say they will continue to pursue that judicial review after their success in the supreme court. It seems the firm believes the retrospective part of the Jobseekers (Back to Work Schemes) Act 2013 is no longer valid. That means all 228,000 Workfare victims who were penalised by the DWP will be able to claim their compensation and force the £130 million payout. Not only that, but it seems reasonable that a legal penalty should be imposed on ‘RTU’ himself. Not only did he enforce the schemes under the illegal regulations, but he also imposed a lengthy and costly legal battle on those who stood up against it, even though it had been found to be wrong in law. Who knows how much hardship this has caused to people who were already on the breadline before his brutal sanctions were imposed? How much despair has he caused to people who had no other means of support? Has anybody died because of this – through health problems, mental health issues leading to suicide, or for other reasons? It is time for the people who have been most seriously affected by this to get together and start talking to lawyers – Public Interest Lawyers might be a good place to start – about getting restitution from the man who caused this mess. The taxpayer may well have to foot the bill for the illegal benefit sanctions, and that is only right. They should never have been imposed in the first place and this will only set matters straight. But the individual minister who caused this should not get away without paying a personal penalty. Let’s have some accountability in government, Mr… Smith.